Cancer is new tissue growth resulting from the continuous and rapid production of abnormal cells that invade and destroy specific tissues. Cancer, which may arise from any type of cell in any body tissue, is not a single disease but includes a large number of diseases classified according to the tissue and type of cell in which new growth occurs. Several hundred classes of cancer exist, constituting (but not limited to) three major subtypes: carcinomas, sarcomas, and leukemia/ lymphomas. Carcinomas represent approximately 85% of all malignant tumors, sarcomas approximately 6%, and leukemia/ lymphomas account for about 5% of malignant tumors. One of the most prevalent side effects for 78%-96% of the cancer population is fatigue. Fatigue is characterized by the inability to perform physical tasks at one’s usual pace or strength, and by a slowing of the thinking processes that may involve failure of memory. The exact mechanism that causes fatigue in patients with cancer is not known. It is likely that many different mechanisms play a role. A perspective in the study of fatigue focuses on the reduction in skeletal muscle protein stores that may result from endogenous tumor necrosis factor (TNF), or from TNF administered as therapy. This muscle wasting would require individuals to exert an unusually high amount of energy to generate adequate contractile force during energy performance or during extended periods of sitting or standing. In patients with cancer, there are three major nutritional/ energy mechanisms that may be involved in fatigue: alteration in the body’s ability to process nutrients efficiently, increase in the body’s energy requirements, and decrease in intake of energy sources. One of the hardest concepts to convince a cancer patient of is that exercise may help them to overcome the feeling of fatigue. Most patients would quickly disagree because they are too tired to do even normal daily activities. Exercise has been shown in many previous studies to play a more preventative role in the development of certain types of cancer. This concept is already known, but what about the benefits of exercise for a current cancer patient? Numerous studies have suggested that exercise, including light to moderate intensities, has many benefits for people with cancer. Some of the benefits of exercise include: increases in cardiovascular, pulmonary, and muscular functioning produced by regular exercise result in improved oxygen consumption, stroke volume, cardiac output, vascularization of muscles, lymphatic circulations, metabolic rate, muscle tone, strength, coordination, and balance. Exercise appears to influence host defense against both viral infection and cancer. Exercise also causes the release of several cytokines involved in resistance to tumors, which may also influence the activity of cytotoxic cells. Exercise has been suggested by many researchers as a rehabilitative solution for energy loss in cancer patients. Defined as rhythmic contraction and relaxation of large muscle groups over an extended period of time, aerobic exercises have been shown to improve physical capabilities in cancer patients. 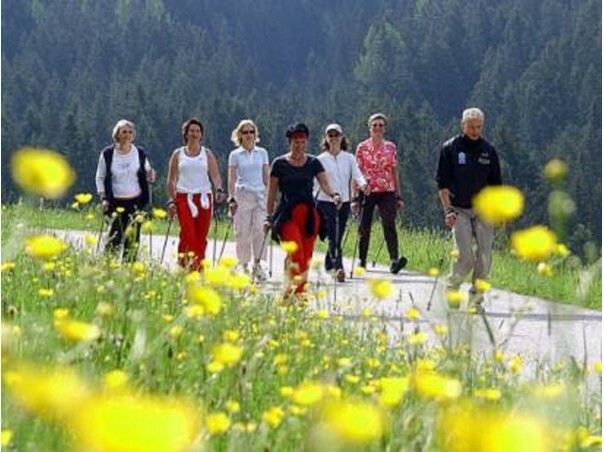 Some initial clinical concerns about exercise in cancer patients include: a) the potential immunosuppressive effects of vigorous exercise, b) the increased likelihood of pathological bone fractures arising from compromised bone integrity, c) possible worsening of cardiotoxicity from chemotherapy and/or radiation, d) severe pain, nausea, and fatigue that may be intensified by physical exercise, and e) the inability and/or unwillingness of cancer patients to tolerate exercise given their weakened physical and emotional condition. Despite all of these concerns, there is a growing body of evidence that shows how exercise can benefit cancer patients. Can exercise help reverse the effects of cancer treatment? Cardiovascular benefits of exercise for cancer patients were shown to be evident in patients that had no signs of impaired cardiac function before cancer treatment. In this study, no patients in the training group developed clinical signs of cardiotoxicity during the 2 months after chemotherapy. For women with breast cancer, a fitness program that included aerobic exercise would decrease the risk of developing cardiovascular disease and osteoporosis. The side effects of cancer treatment on the musculoskeletal system have demonstrated physiological improvements from exercise interventions. Exercise may stimulate various benefits to the musculoskeletal system. Such benefits include the development of new healthy cells that will replace the healthy cells that died from the cancer treatment. This process has been shown to give patients the strength gains needed to perform daily activities, more motivation and energy, and improvement in the patient’s overall quality of life. Exercise may be one of the most potent interventions for cancer patients, but with this also comes risks. Not all exercises are created equal. To be effective and safe, exercise should be prescribed, and include these five criteria: 1) Status of the individual, 2) Type of exercise, 3) Intensity of exercise, 4) Frequency of exercise, and 5) Duration of exercise. Anaerobic and aerobic exercise training should be an integral component in the lifestyle of people fighting through or recovering from cancer. Among the many symptoms associated with cancer and its treatment, fatigue is one of the most prevalent symptoms, and yet fatigue is the least understood. Clinically knowing that exercise has helped alleviate some or all of the feelings of fatigue in cancer patients, there remains a very promising future for research in the years to come.